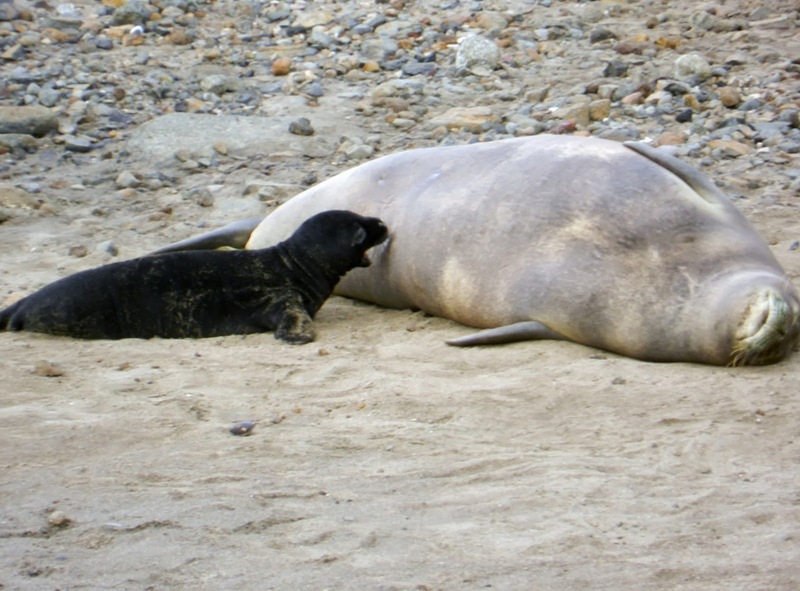 Yesterday when I checked on Mom and baby they were both out of the water and relaxing on the beach. 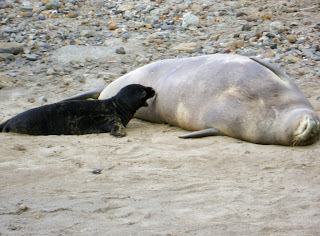 Mom might have been worn out and needing a nap because the pup had taken off up the beach and she had to go after him. 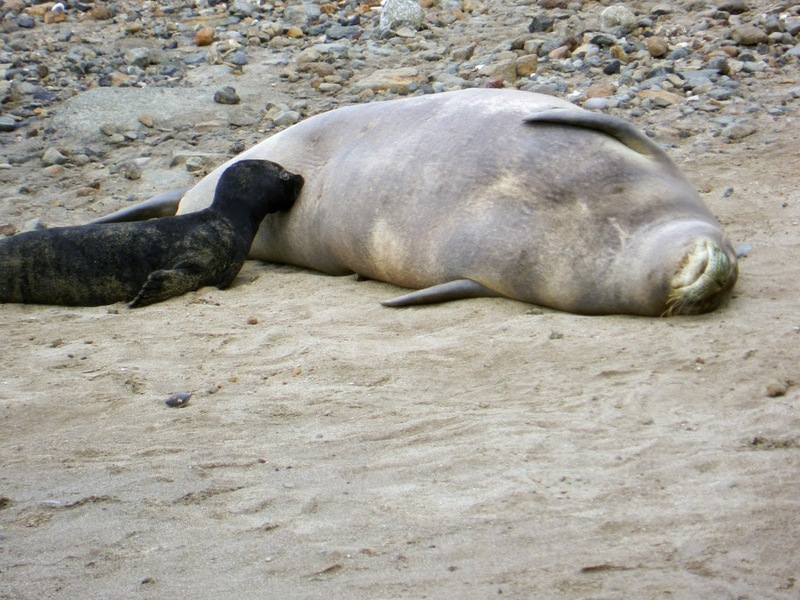 You could definitely see the baby had grown and was more active and more interested in exploring while Mom pretty much stayed put. that seal pup looks the color of Ruby, who is hiding somewhere from the thunder and rain. not a good day to do outdoor show.